Notice is hereby given in terms of the Local Government: Municipal Finance Management Act (No 56 of 2003), read with the Municipal Asset Transfer Regulations (R878 of 2008), the Promotion of Administrative Justice Act (No 3 of 2000) as well as the Local Government: Municipal Systems Act (No 32 of 2000) that the Council of the Garden Route District Municipality in terms of Resolution H.2 intends to enter into a long-term lease agreement (50 years) with LEN24 (Pty) Ltd to manage and operate De Hoek Mountain Resort and Calitzdorp Spa. The lease agreement is the cornerstone of a key social-entrepreneurial venture which will have an immense socio economic and environmental impact on the region. The lease will attract a multi-million rand investment into the local economy, boosting job creation and reducing unemployment, investment in relevant and quality skills development which increases employee earnings, an investment in green technology at the resorts including solar energy and water desalination plants which will be integrated with municipal pipelines, thus bringing water security to the Kannaland Municipality. The district will attract fiscal revenues from tourism and hospitality generated from the resorts. The Applicant will also be responsible for all the costs involved. The property is, in terms of the provisions of section 14 of the Local Government: Municipal Finance Management Act, 2003 (Act 56 of 2003) not required for the purposes of providing minimum basic municipal services. 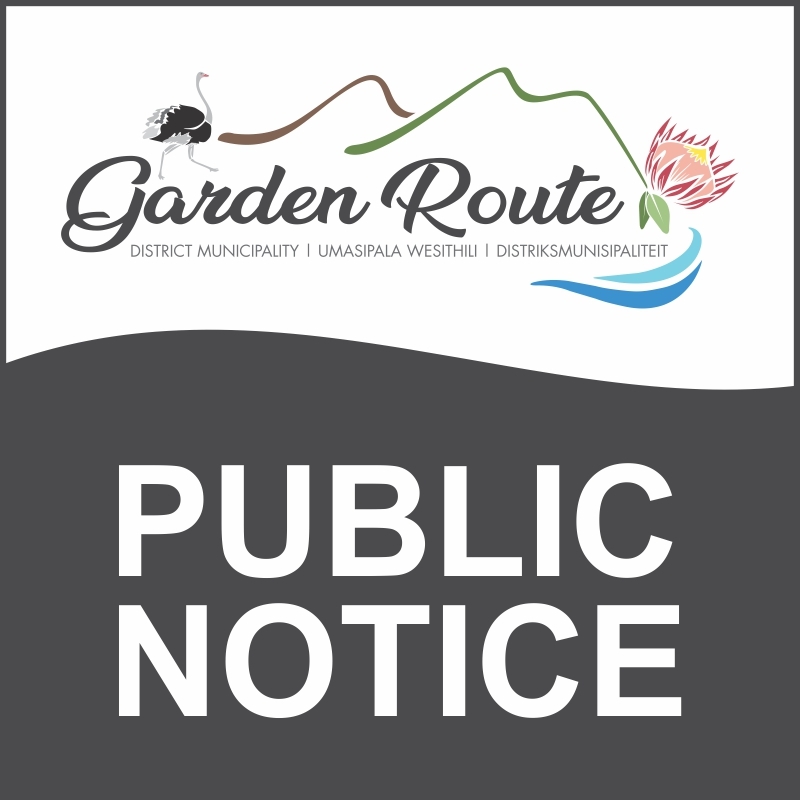 Any comments and/or objections to the proposed long-term lease, with your reasons for such objection(s), must be submitted in writing and addressed to: The Municipal Manager, Garden Route District Municipality, P O Box 12, George, 6530, by no later than Monday, 20 May 2019. Any comments and/or objections which are received after the abovementioned closing date, may possibly not be taken into consideration. In terms of section 21(4) of the Systems Act, notice is hereby given that people who cannot write, may approach the Economic Development Department during office hours, where a member of staff will assist them in converting their comments or objections in writing. Any enquiries may be directed to Mr L Menze, Planning & Economic Development, at telephone number (044) 803 1398 or email properties@grdm.gov.za.